Here you will find short information about the last completed projects. Descriptions and detailed contents for the respective projects can be found in the submenu. Globe Viewer is an interactive high-quality 3D representation of the entire Earth's surface. Go on a discovery tour with the Globe Viewer and get to know our blue planet again! 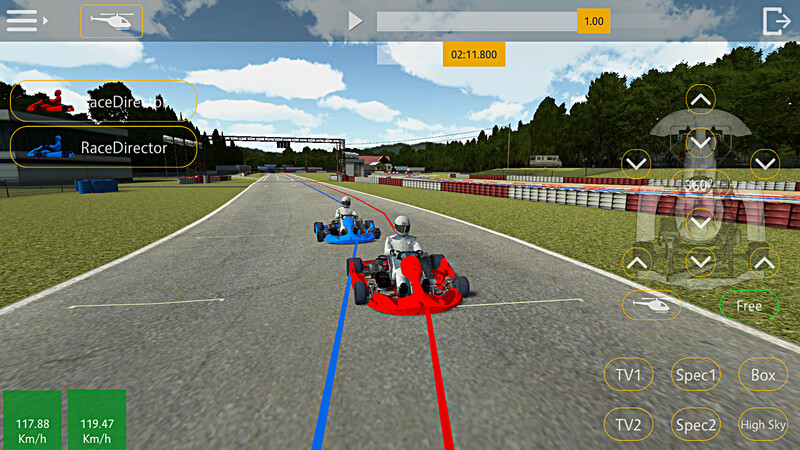 GPS analysis and driving comparisons for kart, motorcycle and motorists who want to analyze their rides on different racetracks. Further information can be found at www.racedirector.at. A mobile architectural visualization with interactive lighting simulation. You can interactively walk through the planned 3D house and leave comments on the model for the architect. Our original PC application from 2011 was relaunched as an app for Melos GmbH from Melle. It is used as a mobile sales tool in the sale of colored floor granules (for example, floor coverings for stadiums and sports fields). The presentation of car races on the basis of recorded GPS data was successfully implemented with this prototype. An extension of the prototype for the analysis of the trips was also successfully carried out. This mobile 3D bathroom planning was developed for the M3B GmbH in Schmallenberg. In 2014, it was the startingpoint for the currently distributed bathroom planners. A tool, which is the revision of complex user interfaces in the Unity3D engine from version 4.6. facilitated.